Today I would like to bring up one of our previously featured artists, textile design studio LileSadi. It is a Rotterdam based company founded by two sisters, who create playful products bringing some brightness into their customers’ homes. To learn more about LileSadi please read our interview with the founders. 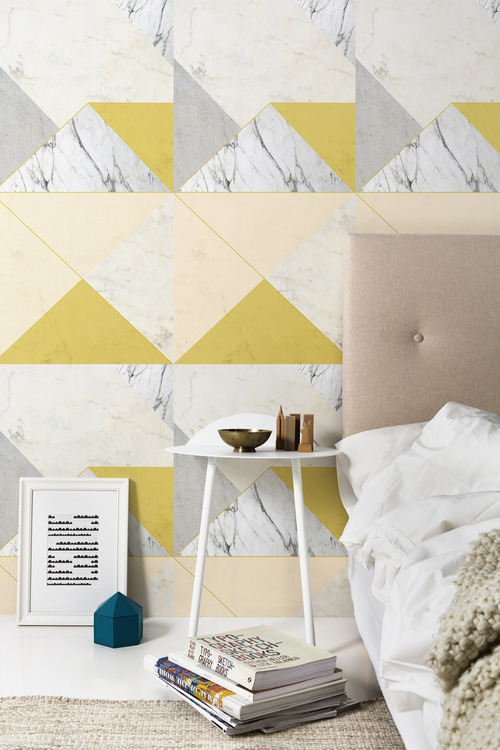 And now I would like to present one of their newest creations, a beautiful Marble and Concrete wallpaper especially designed for Swedish online wallpaper shop Photowall. It is a playful combination of textures, geometric shapes and soft pastel tones. What a great home décor product with perfectly balanced pattern! Marble and Concrete wallpaper can be found and purchased here. To see more products from studio LileSadi please visit their website. All the images used in this post are the property of LileSadi.